For the chromium–hydrogen alloy, see Chromium hydride. 4 have been isolated in solid gas matrices. The molecular hydrides are very unstable toward thermal decomposition. As such the compound is not well characterised, although many of its properties have been calculated via computational chemistry. 2 (systematically named chromane(2) and dihydridochromium) was synthesised and identified for the first time. It was synthesised directly from the elements, in a reaction sequence which consisted of simultaneous sublimation of chromium to atomic chromium and thermolysis of hydrogen, and concluded with codeposition in a cryogenic argon matrix to form chromane(2). 2CrH (systematically named dichromane(4) and di-μ-hydrido-bis(hydridochromium)) was synthesised and identified for the first time. It was also synthesised directly from the elements, in a reaction sequence which consisted of laser ablation of chromium to atomic chromium, followed by codeposition with hydrogen in a cryogenic matrix to produce chromane(2), and concluded with annealing to form dichromane(4). CrH2 is the major primary product in the reaction of laser-ablated chromium with molecular hydrogen. 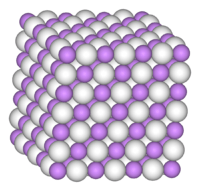 Chromium(II) hydride is the most hydrogenated, groundstate classical hydride of chromium. In the presence of pure hydrogen, chromium(II) hydride readily converts to bis(dihydrogen)dihydridochromium, CrH2(H2)2 in an exothermic reaction. 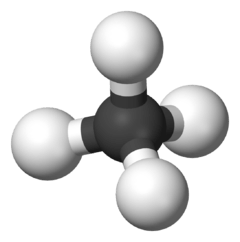 In an inert gas matrix atomic Cr reacts with H2 to make the dihydride when it is irradiated with ultraviolet light between 320 and 380 nm. The CAS number is 13966-81-9. The reaction of chromium with molecular hydrogen is endothermic. 380 nm or greater wavelength radiation is required to procure photochemically generated CrH2. In diluted chromane(2), the molecules are known to oligomerise forming at least dichromane(4) (dimers), being connected by covalent bonds. The dissociation enthalpy of the dimer is estimated to be 121 kJ mol−1. CrH2 is bent, and is weakly repulsive to one hydrogen molecule, but attractive to two molecules of hydrogen. The bond angle is 118±5°. The stretching force constant is 1.64 mdyn/Å. The dimer has a distorted rhombus structure with C2h symmetry. This process involves atomic chromium as an intermediate, and occurs in two steps. The hydrogenation (step 2) is a spontaneous process. 2 molecules: ESR and optical spectroscopy at 4 °K [sic]". The Journal of Chemical Physics. American Institute of Physics. 71 (5): 2051–2056. Bibcode:1979JChPh..71.2051V. doi:10.1063/1.438596. 1 2 3 4 Wang, Xuefeng; Andrews, Lester (30 January 2003). "Chromium hydrides and dihydrogen complexes in solid neon, argon, and hydrogen: Matrix infrared spectra and quantum chemical calculations". The Journal of Physical Chemistry A. American Chemical Society. 107 (4): 570–578. doi:10.1021/jp026930h. 1 2 3 Xiao, Z. L.; Hauge, R. H.; Margrave, J. L. (January 1992). "Reactions and photochemistry of chromium and molybdenum with molecular hydrogen at 12 K". The Journal of Physical Chemistry. 96 (2): 636–644. doi:10.1021/j100181a024. Retrieved 3 February 2013. ↑ Linstrom, P. J. "CrH2". Chemistry WebBook. National Institute of Standards and Technology. Retrieved 25 January 2013.